The Government of Canada has contracted Magellan Aerospace Corporation to provide LUU-2 illumination flares for the Royal Canadian Air Force (RCAF). The LUU-2 is an air-deployed high-intensity illumination flare, which the RCAF will use to support night-time search and rescue operations. The flares can produce up to 1.8 million candlepower of visual illumination for five minutes, according to a press release. Carla Qualtrough, Minister of Public Services and Procurement and Accessibility, recently made the announcement that the aerospace company was awarded three contracts with a value of $48 million to provide the LUU-2 illumination flares, which will be manufactured from the Magellan’s facility in Winnipeg, Manitoba. “These contracts provide the highly trained members of the RCAF with the equipment they need to respond quickly and safely in potentially life-saving, night-time search and rescue operations and help bring Canadians home,” said Minister Qualtrough. These three contracts cover a combined 10,000 units of the illumination flares over a five-year period, as well as non-recurring expenses related to manufacturing. 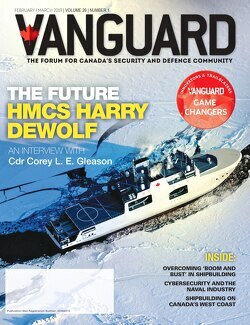 “The Canadian Armed Forces (CAF) flies approximately 1,000 search and rescue missions each year, and it is critical that we provide our women and men in uniform with the equipment they need to provide this life-saving service to Canadians,” said Harjit S. Sajjan, Minister of National Defence. In collaboration with the Canadian Coast Guard, the CAF responds to more than 9,000 search and rescue calls each year, of this amount, over 10 per cent require the deployment of search and rescue air assets. “Magellan remains committed to continuing our 60-year legacy in supporting the CAF and the RCAF with the delivery of critical mission support equipment and services”, said Mr. Haydn Martin, Vice President, Business Development, Marketing and Contracts, Magellan Aerospace.